Seven South Dakota musicians who loved playing rock and roll desired to expand their experience when this band was born in early 1972. Many members of the former Nickel Bag of Soul band changed their band name at the advice of their booking agency. Jim Birnbaum, bass, Danny Thomas, trumpet, Bob Maag, keyboards, Rich Samore, guitar, John Loken, sax, Rick Herr, trombone, and Scott Klaverkamp, drums became “Priceless.” Early performances included packed houses at the Mocamba Club (exhausting the venue’s inventory of beer). As well as playing the Midwest, Priceless performed in Atlanta, St. Louis, Little Rock, and Chicago. Late ’72 saw personnel changes. Birnbaum, Klaverkamp, and Thomas added guitarist Rod Jerke. The national tours continued in New Orleans and Johnstown, PA while playing longer engagements at clubs closer to home. Other musicians included Mike Holm, Terry Becky, Dewey Hunt, Butch Zierath, Roger Whitmore, and Jan Arden Peterson. 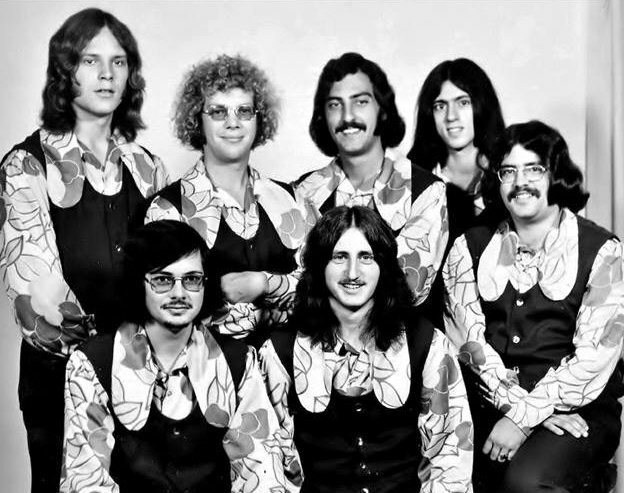 Late December back in ’76 ended four-and-a-half years of fine musical entertainment from Priceless.